Physical map of Northern Asia. Including the Russian Far East, the population of Siberia numbers just above 40 million people. As a result of the 17th to 19th century Russian conquest of Siberia and the subsequent population movements during the Soviet era, the demographics of Siberia today is dominated by native speakers of Russian. There remain a considerable number of indigenous groups, between them accounting for below 10% of total Siberian population (About 4,500,000), which are also genetically related to indigenous peoples of the Americas. In Kamchatka the Itelmens' uprisings against Russian rule in 1706, 1731, and 1741, were crushed. During the first uprising the Itelmen were armed with only stone weapons, but in later uprisings they used gunpowder weapons. The Russian Cossacks faced tougher resistance from the Koryaks, who revolted with bows and guns from 1745 to 1756, and were even forced to give up in their attempts to wipe out the Chukchi in 1729, 1730-1, and 1744-7. After the Russian defeat in 1729 at Chukchi hands, the Russian commander Major Pavlutskiy was responsible for the Russian war against the Chukchi and the mass slaughters and enslavement of Chukchi women and children in 1730-31, but his cruelty only made the Chukchis fight more fiercely. A war against the Chukchis and Koryaks was ordered by Empress Elizabeth in 1742 to totally expel them from their native lands and erase their culture through war. The command was that the natives be "totally extirpated" with Pavlutskiy leading again in this war from 1744-47 in which he led to the Cossacks "with the help of Almighty God and to the good fortune of Her Imperial Highness", to slaughter the Chukchi men and enslave their women and children as booty. 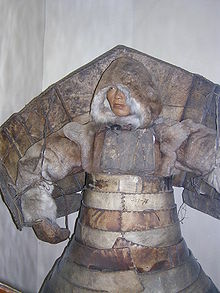 However this phase of the war came to an inconclusive end, when the Chukchi forced them to give up by killing Pavlutskiy and decapitating him. The Russians were also launching wars and slaughters against the Koryaks in 1744 and 1753-4. After the Russians tried to force the natives to convert to Christianity, the different native peoples like the Koryaks, Chukchis, Itelmens, and Yukaghirs all united to drive the Russians out of their land in the 1740s, culminating in the assault on Nizhnekamchatsk fort in 1746. Kamchatka today is European in demographics and culture with only 2.5% of it being native, around 10,000 from a previous number of 150,000, due to infectious diseases, such as smallpox, mass suicide and the mass slaughters by the Cossacks after its annexation in 1697 of the Itelmen and Koryaks throughout the first decades of Russian rule. The genocide by the Russian Cossacks devastated the native peoples of Kamchatka and exterminated much of their population. In addition to committing genocide the Cossacks also devastated the wildlife by slaughtering massive numbers of animals for fur. 90% of the Kamchadals and half of the Vogules were killed from the eighteenth to nineteenth centuries and the rapid genocide of the indigenous population led to entire ethnic groups being entirely wiped out, with around 12 exterminated groups which could be named by Nikolai Iadrintsev as of 1882. Much of the slaughter was brought on by the fur trade. In the 17th century, indigenous peoples of the Amur region were attacked and colonized by Russians who came to be known as "red-beards". The Russian Cossacks were named luocha (羅剎), rakshasa by Amur natives, after demons found in Buddhist mythology. They feared the invaders as they ruthlessly colonized the Amur tribes, invaders who were subjects of the Qing dynasty during the Sino–Russian border conflicts. 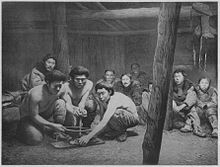 The Aleuts in the Aleutians in Alaska were subjected to genocide and slavery for the first 20 years of Russian rule, with the Aleut women and children captured and Aleut men slaughtered. Then Catherine the Great issued various instructions to prevail humanity in the treatment with indigenous peoples. The regionalist oblastniki was, in the 19th century, among the Russians in Siberia who acknowledged that the natives were subjected to violence of almost genocidal proportions by the Russian colonization. They claimed that they would rectify the situation with their proposed regionalist policies. 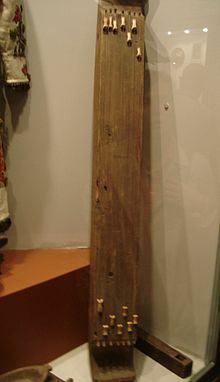 The colonizers used slaughter, alcoholism and disease to bring the natives under their control, some small nomadic groups essentially disappeared, and much of the evidence of their obliteration has itself been destroyed, with only a few artifacts documenting their presence remaining in Russian museums and collections. In 1918-1921 there was a violent revolutionary upheaval in Siberia. Russian Cossacks under Captain Grigori Semionov established themselves as warlords by crushing the indigenous peoples who resisted colonization. The Russian colonization of Siberia and conquest of its indigenous peoples has been compared to European colonization in the United States and its natives, with similar negative impacts on the natives and the appropriation of their land. However Siberian experience was very different, as settlement was not resulted to dramatic native depopulation. The Slavic Russians outnumber all of the native peoples in Siberia and its cities except in the Republic of Tuva and Sakha Republic, with the Slavic Russians making up the majority in the Buriat Republic and Altai Republics, outnumbering the Buriat and Altai natives. The Buriat make up only 29% of their own Republic, and Altai is only one-third, and the Chukchi, Evenk, Khanti, Mansi, and Nenets are outnumbered by non-natives by 90% of the population. The Czars and Soviets enacted policies to force natives to change their way of life, while rewarding ethnic Russians with the natives’ reindeer herds and wild game they had confiscated. The reindeer herds have been mismanaged to the point of extinction. Altaic has not been proven to be a language family, a phylogenetic unit. It may be a Sprachbund. Paleosiberian is simply a geographic term of convenience. Here, these two terms are listed just to serve as portal-like starting points – without suggesting genetic considerations. The Khanty (obsolete: Ostyaks) and Mansi (obsolete: Voguls) live in Khanty–Mansi Autonomous Okrug, a region historically known as "Yugra" in Russia south-east of Komi. By 2013, oil and gas companies had already devastated much of the Khanty tribes' lands. In 2014 the Khanty-Mansiisk regional parliament continued to weaken legislation that had previously protected Khanty and Mansi communities. Tribes' permission was required before oil and gas companies could enter their land. The semi-nomadic reindeer herding people, the Izhemtsi in the Komi republic of Russia, just west of the Ural mountains, had already rejected the Russian oil-giant LUKOIL takeover of their land for oil exploration and drilling. Yukaghir is spoken in two mutually unintelligible varieties in the lower Kolyma and Indigirka valleys. Other languages, including Chuvantsy, spoken further inland and further east, are now extinct. Yukaghir is held by some to be related to the Uralic languages in the Uralic–Yukaghir family. The Yukaghir (self-designation: одул odul, деткиль detkil) are people in East Siberia, living in the basin of the Kolyma River. The Tundra Yukaghirs live in the Lower Kolyma region in the Sakha Republic; the Taiga Yukagirs in the Upper Kolyma region in the Sakha Republic and in Srednekansky District of Magadan Oblast. By the time of Russian colonization in the 17th century, the Yukagir tribal groups (Chuvans, Khodyns, Anauls, etc.) occupied territories from the Lena River to the mouth of the Anadyr River. The number of the Yukagirs decreased between the 17th and 19th centuries due to epidemics, internecine wars and Tsarist colonial policy. Some of the Yukagirs have assimilated with the Yakuts, Evens, and Russians. Currently Yukagir live in the Yakut-Sakha Republic and the Chukotka Autonomous region of the Russian Federation. According to the 2002 Census, their total number was 1,509 people, up from 1,112 recorded in the 1989 Census. 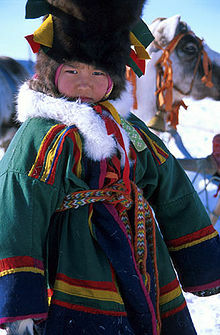 The Buryats number approximately 436,000, which makes them the largest ethnic minority group in Siberia. They are mainly concentrated in their homeland, the Buryat Republic, a federal subject of Russia. They are the northernmost major Mongol group. Buryats share many customs with their Mongolian cousins, including nomadic herding and erecting huts for shelter. Today, the majority of Buryats live in and around Ulan Ude, the capital of the republic, although many live more traditionally in the countryside. Their language is called Buryat. 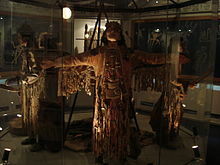 The most important examples for Shamanism in Siberia are Yakuts, Dolgans and Tuvans. Most Siberian Tatars are Sunni Muslims. The Evenks live in the Evenk Autonomous Okrug of Russia. The Udege, Ulchs, Evens, and Nanai (also known as Hezhen) are also indigenous peoples of Siberia, and are known to share genetic affinity to Indigenous Peoples of the Americas. 1. The Chukotko-Kamchatkan family, sometimes known as Luoravetlan, includes Chukchi and its close relatives, Koryak, Alutor and Kerek. Itelmen, also known as Kamchadal, is also distantly related. 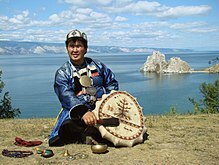 Chukchi, Koryak and Alutor are spoken in easternmost Siberia by communities numbering in the dozens (Alutor) to thousands (Chukchi). Kerek is now extinct, and Itelmen is now spoken by fewer than 10 people, mostly elderly, on the west coast of the Kamchatka Peninsula. 3. Ket is the last survivor of the Yeniseian family along the middle of the Yenisei River and its tributaries. It has recently been claimed  to be related to the Na-Dene languages of North America, though this hypothesis has met with mixed reviews among historical linguists. In the past, attempts have been made to relate it to Sino-Tibetan, North Caucasian, and Burushaski. 4. Nivkh is spoken in the lower Amur basin and on the northern half of Sakhalin island. It has a recent modern literature and the Nivkhs have experienced a turbulent history in the last century. Analysis of genetic markers has also been used to link the two groups of indigenous peoples. Studies focused on looking at markers on the Y chromosome, which is always inherited by sons from their fathers. Haplogroup Q is a unique mutation shared among most indigenous peoples of the Americas. Studies have found that 93.8% of Siberia's Ket people's and 66.4% of Siberia's Selkup people's possess the mutation. The principal-component analysis suggests a close genetic relatedness between some North American Amerindians (the Chipewyan and the Cheyenne) and certain populations of central/southern Siberia (particularly the Kets, Yakuts, Selkups, and Altays), at the resolution of major Y-chromosome haplogroups. This pattern agrees with the distribution of mtDNA haplogroup X, which is found in North America, is absent from eastern Siberia, but is present in the Altais of southern central Siberia. The genetic evidence points to a strong connection between Amerindians being related to indigenous people of the Altai Mountains region of Siberia. Menovščikov, G. A. (= Г. А. Меновщиков) (1968). "Popular Conceptions, Religious Beliefs and Rites of the Asiatic Eskimoes". In Diószegi, Vilmos. Popular beliefs and folklore tradition in Siberia. Budapest: Akadémiai Kiadó. Barüske, Heinz: Eskimo Märchen. Eugen Diederichs Verlag, Düsseldorf and Köln, 1969. Merkur, Daniel: Becoming Half Hidden / Shamanism and Initiation Among the Inuit. Acta Universitatis Stockholmiensis / Stockholm Studies in Comparative Religion. Almqvist & Wiksell, Stockholm, 1985. Kleivan, I. and Sonne, B.: Eskimos / Greenland and Canada. (Series: Iconography of religions, section VIII /Arctic Peoples/, fascicle 2). Institute of Religious Iconography • State University Groningen. E.J. Brill, Leiden (The Netherland), 1985. ISBN 90-04-07160-1. Ancient Beringian, Siberian indigenous people. ^ Black, Jeremy (1 October 2008). War and the World: Military Power and the Fate of Continents, 1450-2000. Yale University Press. ISBN 978-0300147698. Retrieved 4 May 2018 – via Google Books. ^ Forsyth 1994, pp. 145-6. ^ Forsyth 1994, p. 146. ^ Forsyth 1994, p. 147. ^ Jack 2008, p. 388. ^ "Condé Nast's Traveler, Volume 36" 2001, p. 280. ^ "Yearbook" 1992, p. 46. ^ Mote 1998, p. 44. ^ Etkind 2013, p. 78. ^ Kang 2013 Archived May 23, 2014, at the Wayback Machine, p. 1. ^ Forsyth 1994, p. 151. ^ Wood 2011, pp. 89–90. ^ Bobrick, Benson (15 December 2002). "How the East Was Won". The New York Times. Archived from the original on 24 September 2017. Retrieved 4 May 2018. ^ Batalden 1997, p. 36. ^ a b Survival International 2014. ^ The New Encyclopædia Britannica, 15th Edition. (1977). Vol. II, p. 396. ISBN 0-85229-315-1. ^ "Native Americans and Russians share the same language: Dialects reveal how ancestors migrated 13,000 years ago". Daily Mail. 2014-03-13. Archived from the original on 2014-03-13. ^ "Learning Center :: Genebase Tutorials". Genebase.com. 1964-10-22. Archived from the original on 2013-11-17. Retrieved 2013-09-27. ^ a b Bortolini, MC; Salzano, FM; Thomas, MG; et al. (2003). "Y-chromosome evidence for differing ancient demographic histories in the Americas". Am. J. Hum. Genet. 73 (3): 524–39. doi:10.1086/377588. PMC 1180678. PMID 12900798. ^ "Native Americans actually came from a tiny mountain region in Siberia, DNA research reveals". Daily Mail. 2012-01-26. Archived from the original on 2015-03-13. 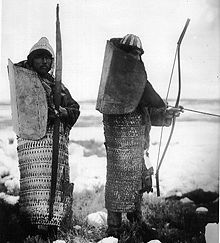 ^ "Tlingit, Eskimo and Aleut armors." Archived 2014-02-22 at the Wayback Machine Kunstamera. Accessed 10 Feb 2014. Batalden, Stephen K. (1997). The Newly Independent States of Eurasia: Handbook of Former Soviet Republics. Contributor Sandra L. Batalden (revised ed.). Greenwood Publishing Group. ISBN 978-0897749404. Retrieved 24 April 2014. Bisher, Jamie (16 January 2006). White Terror: Cossack Warlords of the Trans-Siberian. Routledge. p. 492. ISBN 978-1135765958. Retrieved 24 April 2014. Bobrick, Benson (December 15, 2002). "How the East Was Won". THE NEW YORK TIMES. Retrieved 24 May 2014. Black, Jeremy (2008). War and the World: Military Power and the Fate of Continents, 1450-2000. Yale University Press. ISBN 978-0300147698. Retrieved 24 April 2014. Etkind, Alexander (2013). Internal Colonization: Russia's Imperial Experience. John Wiley & Sons. ISBN 978-0745673547. Retrieved 24 April 2014. Forsyth, James (1994). A History of the Peoples of Siberia: Russia's North Asian Colony 1581-1990 (illustrated, reprint, revised ed.). Cambridge University Press. ISBN 978-0521477710. Retrieved 24 April 2014. Jack, Zachary Michael, ed. (2008). Inside the Ropes: Sportswriters Get Their Game On. U of Nebraska Press. ISBN 978-0803219076. Retrieved 24 April 2014. Kang, Hyeok Hweon (2013). "Big Heads and Buddhist Demons: The Korean Musketry Revolution and Northern Expeditions of 1654 and 1658". Journal of Chinese Military History. 2 (2): 127–189. doi:10.1163/22127453-12341256. Levene, Mark (2005). Genocide in the Age of the Nation State: Volume 2: The Rise of the West and the Coming of Genocide. I.B.Tauris. ISBN 978-0857712899. Retrieved 24 April 2014. Mote, Victor L. (1998). Siberia: worlds Apart. Westview series on the post-Soviet republics (illustrated ed.). Westview Press. ISBN 978-0813312989. Retrieved 24 April 2014. Pesterev, V. (2015). Siberian frontier: the territory of fear. Royal Geographical Society (with IBG), London. Stephan, John J. (1996). The Russian Far East: A History (illustrated, reprint ed.). Stanford University Press. ISBN 978-0804727013. Retrieved 24 April 2014. Wood, Alan (15 April 2011). Russia's Frozen Frontier: A History of Siberia and the Russian Far East 1581 - 1991 (illustrated ed.). A&C Black. p. 272. ISBN 978-0340971246. Retrieved 24 April 2014. Condé Nast's Traveler, Volume 36. Condé Nast Publications. 2001. Retrieved 24 April 2014. Yearbook. Contributor International Work Group for Indigenous Affairs. International Work Group for Indigenous Affairs. 1992. Retrieved 24 April 2014. Wood, Alan (15 April 2011). Russia's Frozen Frontier: A History of Siberia and the Russian Far East 1581 - 1991. A&C Black. pp. 89–90. ISBN 9780340971246. Retrieved 1 September 2014. This page was last edited on 27 March 2019, at 16:42 (UTC).